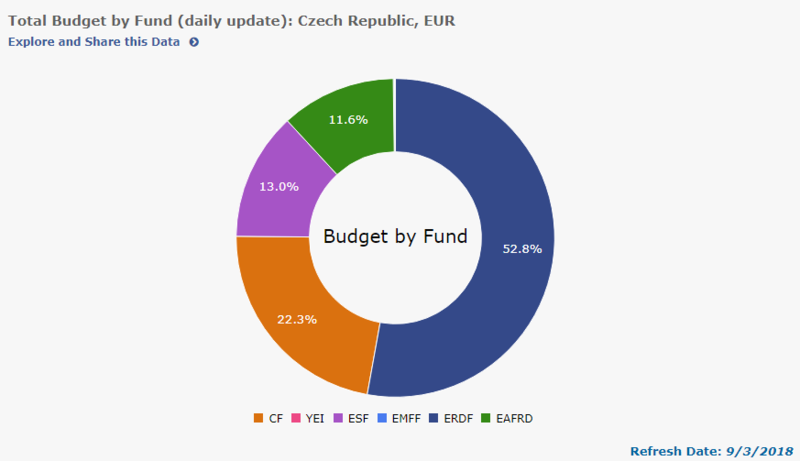 Czech Republic, through 9 national programmes and 1 regional programme, benefits from ESIF funding of EUR 24 billion. 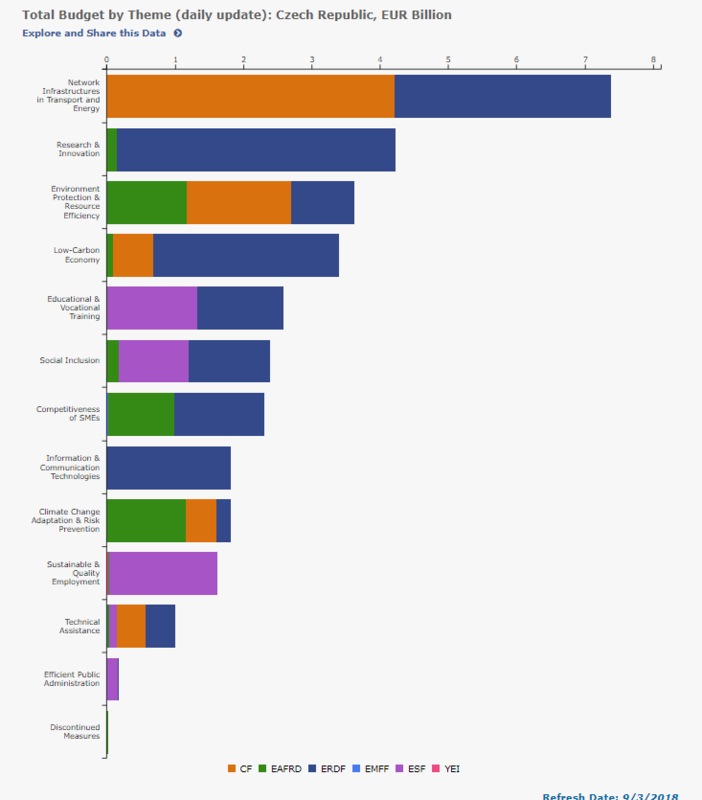 This represents an average of 2 270 euro per person from the EU budget over the period 2014-2020. Data source.